The largest producer of coffee in the world is Brazil, and India also plays an important role in the production of coffee. Coffee is propagated from the seeds. A variety of coffee called Arabica, is grown in high elevated areas whereas another type called Robusta needs humid climate for their growth. 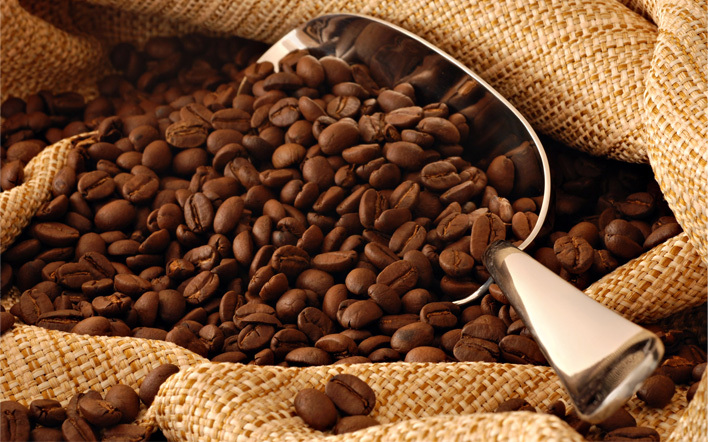 The Arabica bean is a bit larger and has high moisture content in it. The coffee is first grown in an open space which is protected from rains. Here this storage area gets moist tropical air. After a duration of about 2 to 3 months, the moisture gets absorbed by the beans thereby loosing some of the acidity. It leads to obtain a richer and mellower beverage. The Malabar Coast, Arabian sea and the slope of western ghats are the factors which enables the cultivation of coffee in Karnakata. This region gets good rainfall, moderate temperature, high altitude, highly rich volcanic soil etc which is good for coffee cultivation. The coffee cherry grown here have a richer taste and high sugar content.